Sometimes it’s hard to believe that celebrities are just like us - usually most of them have what we don’t. But when it comes to Apple, there was never a difference. NBA superstar commenter Shaquille O’Neal found out about it first hand. O’Neal begged Steve Jobs to give him the first iPhone, but was only met with compassionate denial. "The great Steve Jobs, rest in peace, when the iPhone was first coming out, I used to call him every other day. 'Can I please get one first? Can I please get one first?' He never gave me one. He said, 'Shaq, I can't, I can't, I can't.' He was a great guy," Shaq was quoted as saying. "It's just wild how they are so tight-lipped about everything. That makes everyone want it so much more--and the NBA is sponsored by Apple, basically. I've yet to see a player use a PC on the road." "And when the iPhone 4 came out, I can't tell you how many clients were like, 'We need that early.' And Apple's like, 'No.'" And it’s interesting to look at the importance of Apple’s secrecy and what connection it has to the company’s success. If we had to describe Cupertino, secretive would probably be the second adjective we’d use after successful. So here’s a challenge for you: how would you describe Apple and its culture in just a couple of words? Let us know in the comments below. Is Cupertino Apple's new name? Wtf cant these guys just wait a little like the ready of us?!?!? i see what autocorrect did there..
dude its where it is based like microsoft is based in redmond. Well, I wouldn't say celebs are EXACTLY the same. I never got to call up a CEO to ask for a free device, for instance. That has to be untrue in some cases cause my brother goes to a private school with the daughter of yolanda adams the gospel singer and her daughter was playing with the original ipad i saw before they had the official show announcing it. I was pissed since she was 8 and didnt even know how to use it. legendary; exclusive its always best to keep quiet about your products until the time to announce them... we as people tend to make things less valuable once we open our mouths. Its best for them to release that info on their own terms first then deal with the love&hate afterwards. "the more you wait for it, the more you want it"
love it or hate it, but you can't ignore it. Its actually refreshing to see that celebrities are not getting everything they want firsthand because they can sing or act. There are thousands of people who can do what actors and singers can do they just choose not to pursue that path in life. I have more respect for the actors who are modest and choose not to make a news story out of everytime they party or potty. They are people and they forget that because they make millions. wow. not surprised abut Shaq, but why does giant would want a phone 3'5 screen?.. the haters here. not surpised either.. thanks to them Apple is what it is.. thank you., guys..
Have to say its pretty respectful that Celebs have to wait too, but that being said, still hate the iCult action. 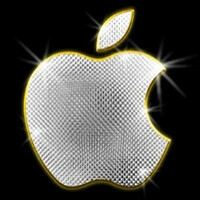 Celebrities and other VIPs don't get privileged because that's actually one the main strategies in Apple. They are playing in the position of deity by conistency: there shall be no other gods among them, everyone is the same, Apple is the only God.